Your company's vesting policy may not be on your mind when considering your next career move, but it should be. Leaving your job before you've worked long enough to retain the money your employer has contributed to your 401(k) can mean the loss of thousands of dollars in retirement savings. One in four workers who left their job last year lost out on this valuable retirement savings, according to a Fidelity analysis done for CNNMoney. On average, they left behind $1,710 in savings, found the analysis, which looked at 485,000 401(k) savers who left their jobs. Younger workers were by far the most frequent losers. More than a third of Millennials left behind an average 24% of their account balance after leaving their job. 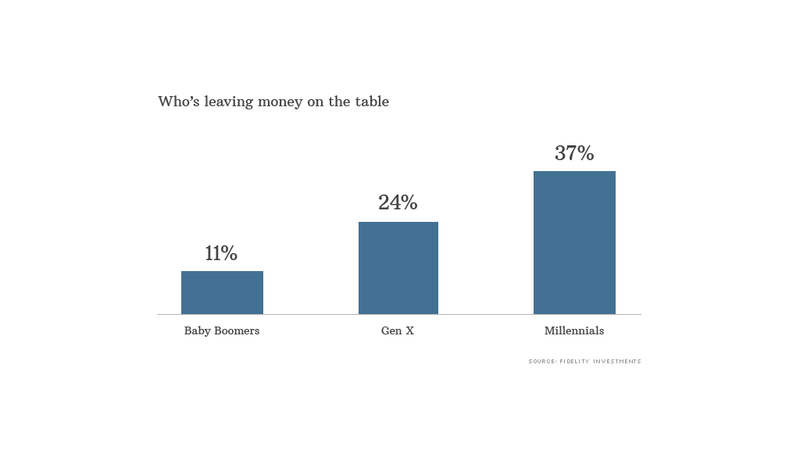 In contrast, only 11% of Baby Boomers left money behind. Millennials were the most likely to forfeit employer contributions to their 401(k), according to an analysis of nearly 500,000 retirement savers who left their job in the first nine months of 2013. That's because Boomers tend to stick with the same employer for many more years than Millennials. Fidelity found that younger workers stayed with their employer a median of three years. Yet more than a third of employers require workers to stay at least five years to keep their full match, while 14% require workers to stay two or three years to get any money at all, according to the Plan Sponsor Council of America. Even small amounts of lost money can have a big effect come retirement due to decades of lost returns. Let's say you forfeit $1,700 in company matches three different times early on in your career, for a total of $5,100. 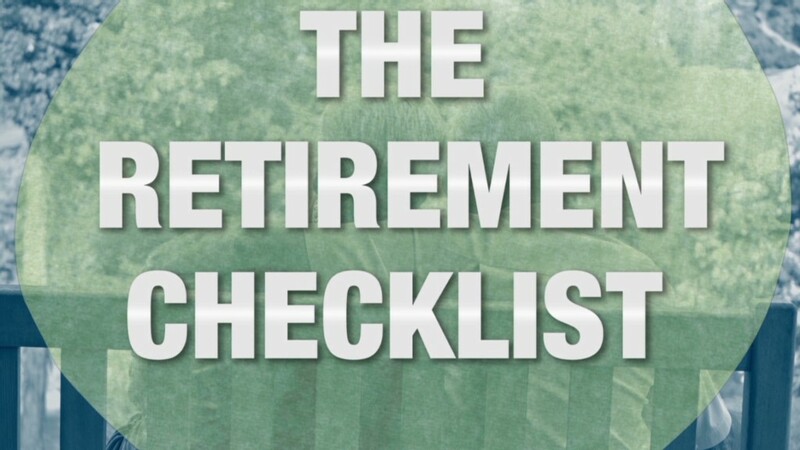 By retirement, the overall loss could be worth as much as $36,000, Fidelity found. "Chronic job hopping could really sink your retirement savings," said Meghan Murphy, a director at Fidelity who conducted the analysis. Lauren Bowling, 27, hasn't had the same job for more than two years since her 2009 college graduation, and it's already had a big effect on her nest egg. Bowling quit her job as an administrative assistant at a New York City hedge fund after a year and a half, leaving behind close to $10,000 in retirement savings. She ultimately walked away with around $3,000 in savings. Had she worked six more months, she could have left with another $3,000, under the company's graduated four-year vesting schedule. While she said she knows her current savings could be much greater, she decided it just wasn't worth "the misery" of her job. "I feel good about the decisions I made and I was able to walk away with a little something," she said. "I guess that's what helps me sleep at night." Be aware: Take the time to read your employer's vesting schedule for both 401(k) matches and profit-sharing contributions. They may be different. If you only have to wait a few more months to take home thousands in savings, consider sticking with your company until you've hit the 100% mark. Negotiate: If you get a great opportunity for a new job and you're not fully vested in your 401(k), don't be afraid to try and negotiate with your new employer. Explain how much you'll lose in savings. Some employers may be willing to compensate with a slightly higher salary or a signing bonus. Save more: Financial planners recommend that you sock away between 10% and 15% of your salary each year. Many workers, especially younger ones, only get above that threshold with the help of an employer match. If you think you'll likely leave your job before fully vesting, try to make up for it by saving at least 10% of your salary on your own.